Let’s Dive Deeper Into the CPA Waters! How do They Manage the CPA model? The majority of Mobidea Academy articles are written for affiliate marketers. Because this is the ultimate university for affiliate marketing beginners, that’s why! Wanna become fully able to know every nook and cranny of the affiliate marketing game? It seems that – if your goal is to know it all – you need to go deeper and get to know all the market’s main players. Most affiliates are only aware of half of the equation – getting paid for the promotion of a product. It’s that simple. It looks really easy, doesn’t it? You see the offers available on affiliate networks. That’s where affiliates usually pick up the content they want to advertise. Don’t you wanna know where offers come from? This is when you get to learn more about advertisers, finding out what kind of traffic they expect from you. Ready to play the affiliate marketing game? We all know how important affiliates are. However, without advertisers, there would be nothing to promote. Without advertisers, online advertising simply wouldn’t exist. They’re the ones developing the content and they are very important business players. They’re also responsible for most restrictions you see when applying to an offer. In today’s highly competitive mobile advertising market, performance is everything. That being said, advertisers have a full range of price models to choose from. However, if they want to achieve results while spending the least amount of cash possible, they should go for the first option, known as CPA or CPI. Cost per Action (CPA) is the price an advertiser pays for a specific action on their advert. That action is usually a purchase or a product subscription. The advertiser is the one specifying which action should be performed by the user in order for the publisher to be paid. As aforementioned, this method is beneficial both for the advertiser and publisher. Advertisers only empty their pockets when their ad has been seen, clicked on, and the user has completed a successful action (sale or subscription). If you’re a powerful publisher (let’s imagine you’re an influential Instagram star with tons of followers that love your posts) CPA is perfect for you. You’ll earn a lot of money if you get your viewers to subscribe to a certain product, due to the fact that CPA payouts are much higher than those of CPM or CPC. Advertisers pay much more for this model because users are actually bringing them instant profit. Advertisers need to manage their budget very carefully when opting for a CPA model. They calculate the Average Revenue Per User (ARPU). This value represents the average money they earn from users purchasing their service. The CPA they’re willing to pay needs to be lower than the ARPU. The difference between these two values will be the advertiser’s margin. They may decide to cut you as a source of traffic. They may lower the CPA (payout) to increase their return on investment. In subscription products, advertisers want users that renew the subscription week after week without ever cancelling the product. This is why it’s important to adapt the ads to the type of website where you’re promoting them. 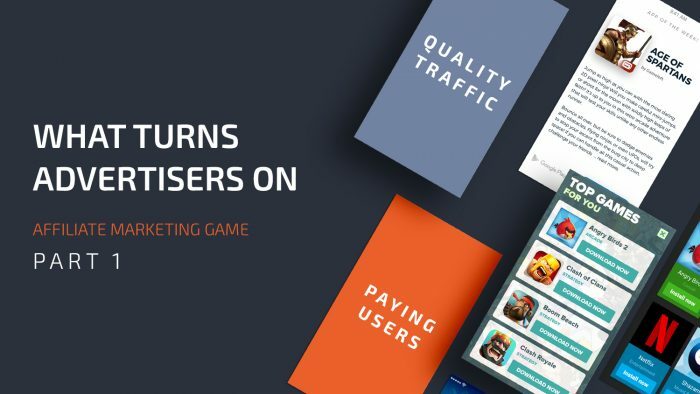 Some advertisers will say they want their gaming products promoted on gaming websites, as they know those users are much more likely to become engaged and excited with their product. Another pricing model that may be considered as CPA is Cost per Lead (CPL). This is a more specific type of cost per action. Here, the action required is the delivery of a new lead to the advertiser. This can be done by submitting an email address or filling a form that requires more info. That’s the advertiser’s decision to make. Indeed, they’re the ones who know what is or isn’t considered a valid lead. If their requirement is that the user inserts their name and email, they’ll confirm whether these are real ones and not a bunch of made up words. What if the info provided is fake? Advertisers won’t pay for those leads. This is their main goal. However, they don’t want you to run their campaigns if you have an average of 50 persons visiting your website every month. Before they know if your traffic has quality, the only metric they can analyze is the amount of traffic you can deliver. Advertisers always ask about volume. With no other metric to analyze, volume will show advertisers how many potential users you’ll be able to drive to their products. If you can, provide your Affiliate Manager with the average numbers you’re making with other networks. Higher payouts are cool and all, but how are they different for Smartlink and Single Offers? Smartlink: if the conversion rate is similar for all advertisers, higher payouts mean better performance which leads to higher volumes. Single Offers: with higher payouts, advertisers expect to have a higher number of interested affiliates which means higher volumes. When advertisers have enough data, they’ll look for quality traffic. But how can they get these users? Whether the goal is volume or quality, fraud is poisonous. In fact, fraudulent and non compliant activities will drive advertisers crazy. Advertisers can be fined for these shenanigans and force you to pay up! This is why it’s crucial to respect the regulations and follow the rules. Great partners to work with! When do they want them? I hope all knowledge-thirsty affiliates have been able to learn more about the other side of the struggle. I know that — after reading this article — you’ll be able to understand why each offer has different requirements. Wondering if this is Game Over? The Mobidea Academy is gonna show you the second part of this advertising fun fest! Let’s keep traffic flowing to put a smile on advertisers all over the world!